Photo courtesy of Matt Bird. Hopkinton Public Library Foundation’s 6th Annual Touch-A-Truck and Food Truck Festival raised over $20,000 for the restoration, renovation and expansion of Hopkinton Public Library, due to open its doors this fall. The event hosted 3000 kids and adults on Sunday, June 4, 2017, at the Hopkinton High School. With this event and the generosity of the numerous families who joined 1000 Homes and secured Naming Opportunities in the last month, fundraising for the Library has now reached $940,000! We hope to reach the community’s goal of raising $1 million for this incredible project at the event of the century, “A Novel Affair – A Literary Cocktail Benefit,” to be held on October 28, 2017, in the Library. Touch-A-Truck featured over 50 construction, service and emergency trucks and vehicles from local companies such as: 20th Century Homes, American Climbers, A.M. Landscaping, Asphalt Engineering, First Student Charter Bus Rental, Garda Armored Car, Gentle Giant Moving Co., Greenwood Landscaping, Holliston Oil, Hopkinton Fire Department, Hopkinton DPW, Jamie Oil, J.C. Parmenter, Maple Farm Dairy, Marguerite Concrete, McIntyre Loam, National Guard, Norton & Haines Transportation, ServPro, Scott Septic, Solect, Ted’s of Fayville, Two Men and a Truck, Tyler’s Lawn Care, Under Pressure, Weston Nurseries, and WD Deiana. Guests feasted on Anzio’s Brick Oven Pizza, Boston Event Specialists, Cape Cod Cannolis, The Cod Squad, Say Cheese!, Minuteman Kettle Corn, Teri-Yummy, Trolley Dogs, Uncle E’s BBQ, and Vee-Bop’s Ice Cream. Touch-A-Truck was generously sponsored by Phipps Insurance Agency, Hometown Hospitality, and Kumon of Hopkinton. Kids got their faces painted with fairies from StoryBook Sisters and Absolute Yoga, and visited Ariel from Fairy Tale Parties. 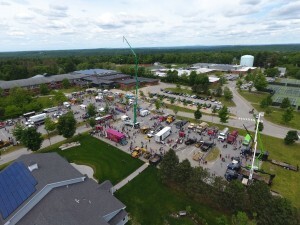 Hopkinton Center for the Arts, Friends of the Milford Catholic Elementary School, LeafFilter, Mini Emporium, Paradise Kids, PolkaTot Parties, and Pink Truck Designs hosted event booths and family fun activities. Thank you to all the families who attended Hopkinton Public Library Foundation’s Touch-A-Truck in support of the Hopkinton Public Library building project, the generous businesses who sponsored the event and donated their time and trucks to make this such a successful day, and the numerous, fantastic volunteers from Hopkinton High School! About the Hopkinton Public Library Foundation. 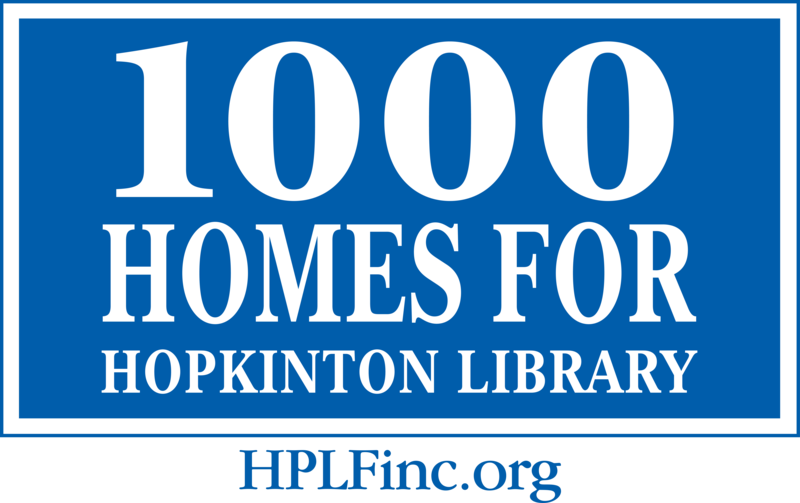 Founded in 2011, Hopkinton Public Library Foundation, Inc. (HPLF) is a 501(c)(3) nonprofit with the mission to raise private funds to support the state-of-the-art restoration, renovation and expansion of Hopkinton Public Library, currently underway. To date, HPLF has raised $940,000 for the Library project. Gifts in any amount are welcome and appreciated, and are tax-deductible. For more information about 1000 Homes for Hopkinton Library and our upcoming fall fundraising event, “A Novel Affair – A Literary Cocktail Benefit,” please visit the HPLF website at www.HPLFinc.org and the HPLF Facebook page: www.facebook.com/HPLFpage. For information regarding Grand Opening events hosted by the Library, stay tuned to the Hopkinton Public Library website at http://www.hopkintonlibrary.org/.